The Russian ruble continues its scorching ascent, improving 3% against the dollar and nearly 4% versus the euro, the best performance in over four months. The currency, on of the worst performers in 2014, is now the best in 2015. 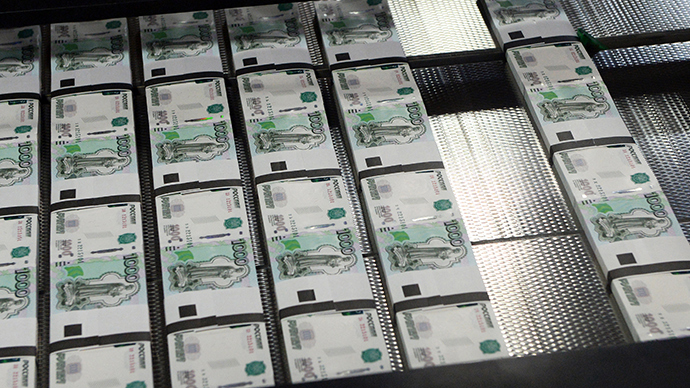 The US dollar lost nearly 3 percent against the ruble, trading at 50.2902 at 1:04pm in Moscow on Friday. The euro, which has also faced tremendous downward pressure from the €1.14 trillion QE package, slipped four percent, hitting a low of 53.3804 at 1:04pm. Against the pound, the ruble strengthened to 74.2014 at the time of publication. The currency, the worst performer in 2014, is now the best in 2015. The ruble has recovered 16 percent in 2015, and more than 55 percent since December 16, dubbed ‘Black Tuesday’, when the ruble bottomed out against the dollar at nearly 80 rubles. The massive upswing has shocked many analysts, but most agreed the ruble has for the most part shaken off its crude curse, or being intrinsically linked to oil prices. “We maintain our view that the ruble’s outstanding performance in recent weeks is largely unrelated to oil dynamics, and has actually been driven by international accounts that were closing USD/RUB longs,” VTB Capital analysts wrote in a note Friday. In the last month alone, the ruble has appreciated by more than 20 percent. In the week that ended April 3, the Russian Central Bank spent $5.5 billion propping up the ruble. Bank of Russia says it wasn't them who bought or sold forex yesterday. Ok, Ruble surges by itself. Sure. 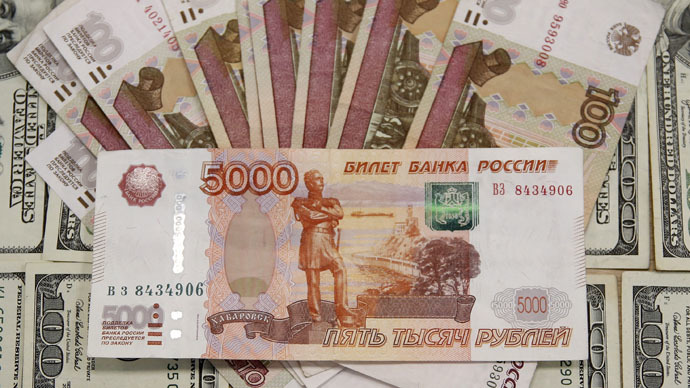 On Thursday, the ruble reached the 52 mark against the dollar at the close of business. The ruble has been slowly finding its equilibrium after the Central Bank of Russia began to cut interest rates in 2015 after a surprise hike to 17 percent in December when the currency crisis hit. The main lending rate is now back down to 14 percent.